It’s not too late to have your say! This is a reminder that the opportunity to have your say as part of the New Zealand Aged Care Workforce Survey 2016 closes at the end of August.If you give direct care or support to older people or are a manager in aged residential care or home and community aged care, your voice can make a difference, and help us learn about the residential, home and community aged care. The Kaiāwhina Workforce Action Plan is supporting the second phase of the New Zealand Aged Care Workforce Survey. The purpose is to provide independent data on the aged care sector that can inform policy at national and organisational levels. The survey will capture information around who is working and what their experiences are – giving an overall picture of the New Zealand aged care workforce. It will provide important information on things such as who is working in aged care, what their work is like, their skills and qualifications. 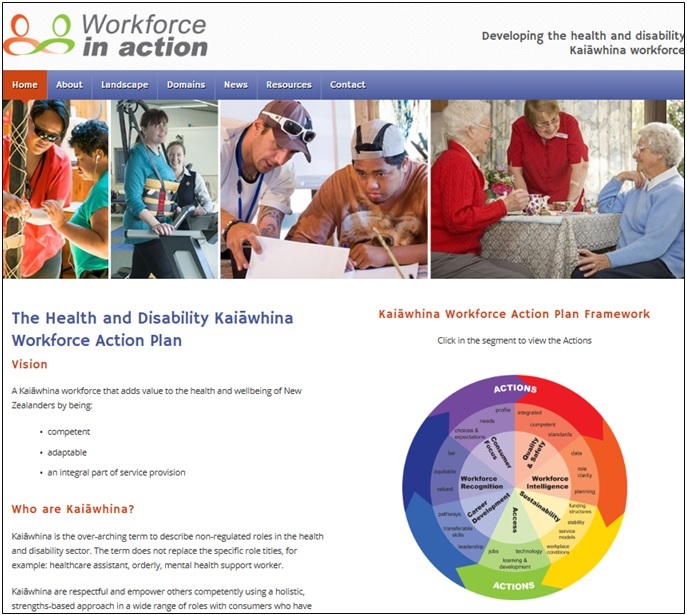 Workforce sustainability is a priority for the Kaiāwhina Workforce Action Plan. The New Zealand Aged Care Survey is key to understanding the relationship between work and the reality of an ageing workforce as we develop and plan for a sustainable workforce that provides quality care and support. Planning how we will appropriately care for the increasing number of older people needs to be underpinned by robust research and informed analysis. 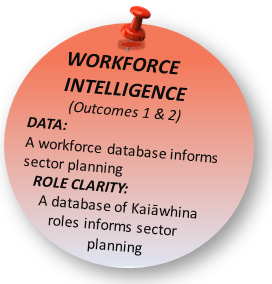 The Kaiāwhina workforce has been largely invisible in planning documents due in part to the absence of coherent data. The New Zealand Aged Care Survey is critical to us helping fill that knowledge gap. This development supports the progress in achieving the following Outcomes. The full list of 5-year actions can be downloaded here. Dr Katherine Ravenswood and Dr Julie Douglas (AUT) are conducting the 2016 Survey and invite you to participate. Those working in direct care (such as caregivers, health care assistants, support workers and nurses) and managers working in both residential and home and community aged care are being surveyed. The survey takes approximately 10 minutes. A report highlighting the key issues arising from survey will be available later in the year and posted on the workforce in action website. We hope you will be able to complete the survey and appreciate your time doing so. For those of you who have already completed the survey, we would like to thank you for your feedback. Past newsletters is available in Pdf and Word format and can be accessed here. Please answer this survey if you are a healthcare assistant, home and community support worker, caregiver, enrolled or registered nurse or similar – if you give direct care or support to older people. All managers in residential aged care and home and community aged care are invited to complete this survey.